SAR 2'0" gauge Class NGG16 2-6-2 + 2-6-2 Beyer-Garratt No. 114 is hard at work with a train of empty wagons climbing into the hills on the line to Donnybrook from Umzinto, just catching the last of the evening sunshine. Sunday 27th August 1972. 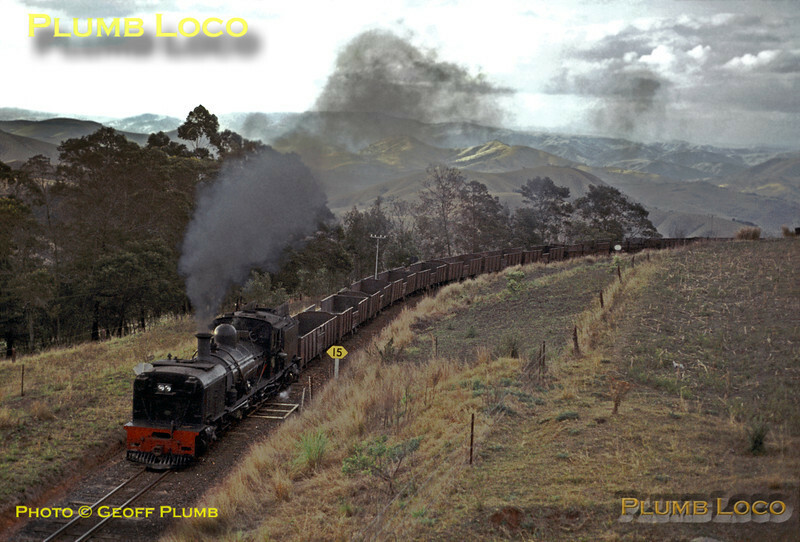 This loco was one of eight built by Beyer, Peacock in 1937. Slide No. 9302.